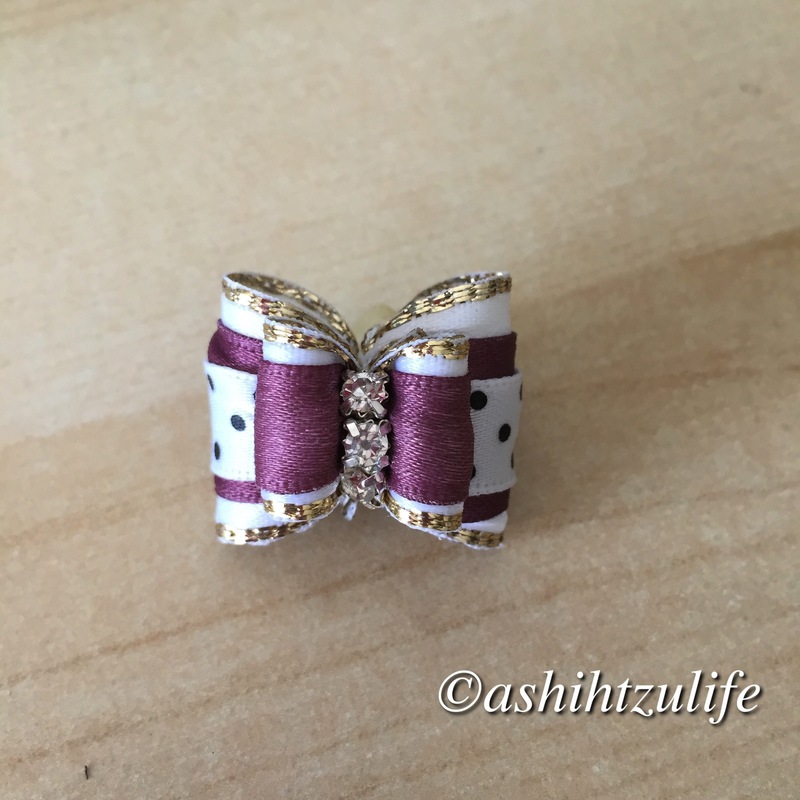 This stunning cream purple bow is the largest of our bows. This was the first one I made of this size and I am really happy with the results. This bow is stunning can be made in this style with any colour. So I am excited to try our favourite colours to replace the purple. 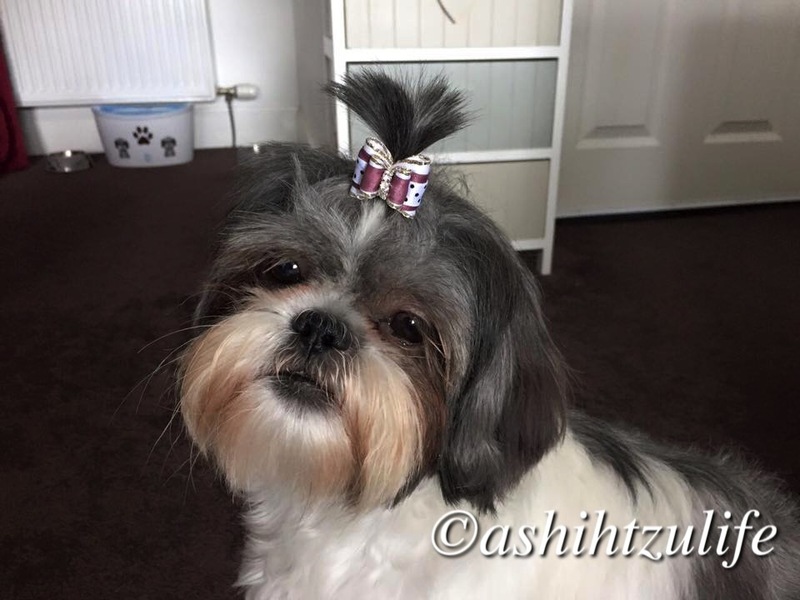 This bow is perfect for Pixie and Roxy’s top knot.